Underground mining is a distinct segment of the mining sector. Underground mining is generally used to extract minerals that are too far underground for surface mining to be economical. There are many different underground mining methods that can be implemented, depending on the mineral being mined and the nature of the deposit. No two underground mines are alike. Technology applications and decisions about mining method must consider the type of ore being mined, composition of surrounding rock, shape and orientation of the ore body, geologic features, and most importantly, economics. 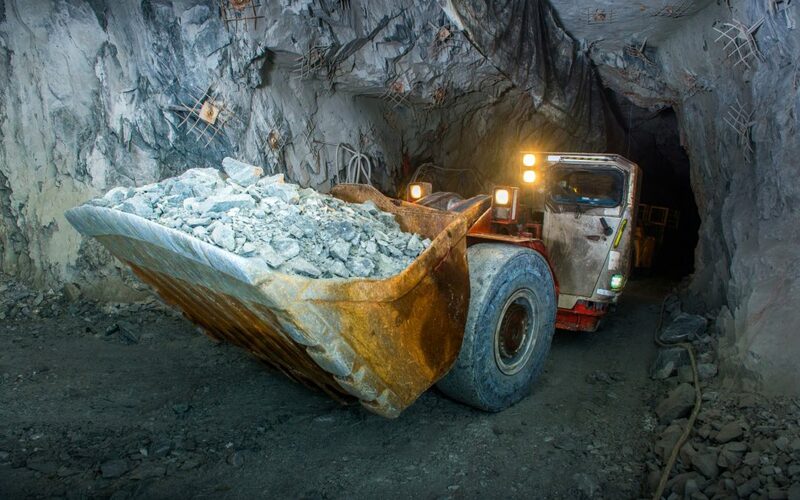 All underground mines have some common components: ventilation to clear toxic gas and dust; escape routes; ore-transport; and communication systems for voice and data. One of the most important aspects of underground mining is ventilation. Ventilation is the primary method of clearing hazardous gases and/or dust which are created from drilling and blasting activity (e.g., silica dust, NOx), diesel equipment (e.g., diesel particulate matter (DPM), carbon monoxide), or gases that naturally emanate from the rock (e.g., radon gas, methane, carbon dioxide, and so forth). Ventilation is also used to manage underground temperatures for the workers. In deep, hot mines ventilation is used to cool the workplace; however, in very cold locations the air is heated before it enters the mine. Ventilation raises are typically used to transfer ventilation from surface to the workplaces and can be modified for use as emergency escape routes. The primary sources of heat in underground hard rock mines are virgin rock temperature, machinery, auto compression, and fissure water. The road network in any underground mine is critical to the efficiency and safety of the mine’s operation. Bad roads can create unnecessary inefficiencies, such as the need to constantly spend man-hours mitigating dust problems, costly work stoppages, and needless extra vehicle maintenance costs due to rough conditions. Careful evaluation of an underground mine needs to take place in order to deliver an impactful and cost-effective solution. Underground mines require reliable communications systems to improve worker safety and reduce operational costs. Today, these systems must be capable of transmitting voice, video and data throughout the mine. There are a wide variety of important tasks in a mine that need a reliable communication system. For example, remote monitoring and control of mining equipment (automation), data acquisition for the various sensor networks throughout the mine (e.g. micro-seismic monitoring) and real-time access to mine operating information. Many of these tasks involve communication with a worker, device or piece of equipment.